Dr. Simon Edginton became chief medical officer for Tampa Bay Emergency Physicians in January 2015. Concurrently, he has been chief of the division of emergency medicine for Florida Hospital Tampa & Carrollwood since 2012. 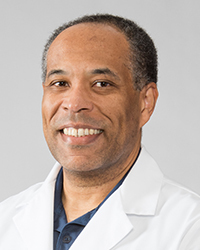 He served as medical director of emergency medicine for Florida Hospital Carrollwood from 2012 to 2014 and vice chair for the division of emergency medicine from 2008 to 2012. He joined TBEP in 2005 and became partner and vice president in 2014. Dr. Edginton graduated from Columbia University College of Physicians & Surgeons and completed his emergency medicine residency at Orlando Regional Medical Center, where he was also chief resident. He has been ABEM board certified since 1999.